Like a lot of young nonprofits, UnBoundRVA had accumulated plenty of qualitative data about its impact during the almost four years it had served RVA. But the organization needed more than just anecdotal information to demonstrate its outcomes to funders and the community at large. UnBound also needed hard numbers and facts to fully realize its mission of helping individuals from low-income backgrounds launch their own businesses, and in turn, transform their lives and communities. This quantitative data would also help the nonprofit realize its long-term goal of expanding into other cities in the future. UnBound knew that the individual tracking documents it had been using to compile data weren’t going to be enough to take the organization to the next level and ensure its sustainability. To gather the quantitative data it needed to apply for grant money and ramp up awareness in the community, the nonprofit needed a well-planned, organized and results-driven system for collecting, measuring and reporting data. However, with little experience in this area, the UnBound team didn’t even know where to begin. Knowledge Advisory Group’s new consultative program for nonprofits, The Evaluator Is InSM, which allowed UnBound to ask KAG experts one data question per day, proved to be the perfect springboard for the nonprofit’s data process. UnBound’s Programs Advancement Manager and Operations Coordinator peppered KAG with inquiries that ran the gamut—from costs for data collection to the outcomes they could reasonably expect for their programs. 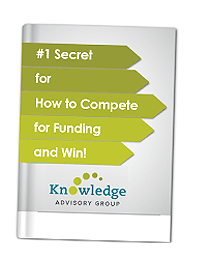 KAG’s consultants not only thoroughly answered these questions via email, but they also equipped the UnBound team with the resources, templates and definitions that they would need to build their new system down the road. KAG’s owner, Trina Willard, even checked in with the team on a day when they missed sending a question to ensure that the nonprofit didn’t leave a single valuable insight on the table. The program saved the team immeasurable time searching for answers. And even if they had been successful in locating information on their own, the sources they trusted may not have been credible or accurate. Such information could have severely compromised their data process. Through The Evaluator Is InSM, the UnBound team learned exactly what they needed to do—both in time and resources—to begin tracking the organization’s impact. Equipped with this knowledge, the nonprofit can confidently take the next steps toward building an effective data process before the year is over. While The Evaluator Is InSM had significant benefits as the developing organization finds its footing with the data process, UnBound recognized that the advantages would be even greater when the organization starts actually collecting and measuring its impact. With real projects and challenges facing them, the team will have the context to ask even more meaningful questions and take full advantage of KAG’s experience and partnership. The Evaluator Is InSM is available to only 15 nonprofits. Learn how to join here.